Sai Gon Giai Phong newspaper, Canon Vietnam and Bao Minh Insurance sent their people down to typhoon-battered Ben Tre Province yesterday with loads of useful goods and plenty of cash for 200 poor households in Mo Cay District. 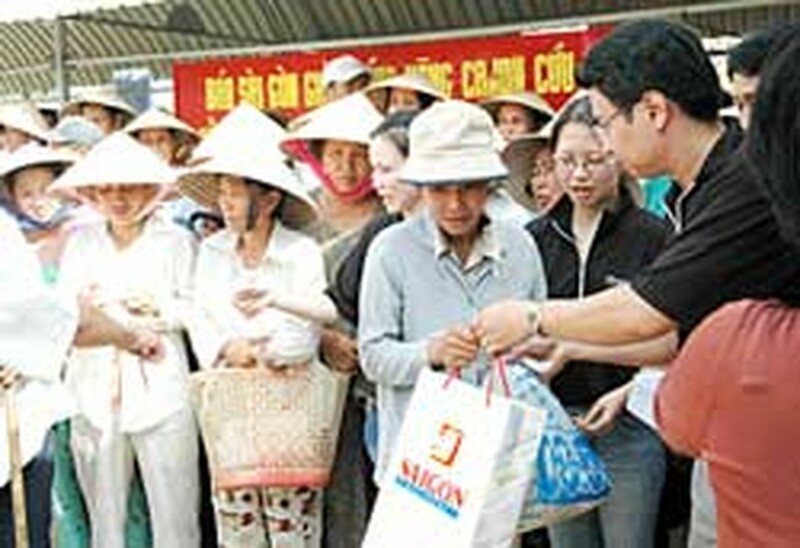 The families in Binh Khanh Dong and Phuoc Hiep communes each received clothes, rice, sugar and oil valued at VND200,000 plus VND500,000 cash. On behalf of the recipients, People’s Committee chairman Nguyen Vu Thanh sent his thanks to the newspaper and the two companies. Mo Cay suffered tremendous losses from Typhoon Durian. 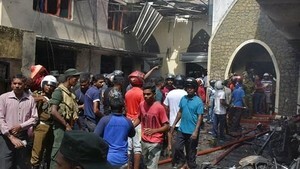 Some 4,800 homes were flattened, more than 14,000 lost their roofs and 19,000 hectares of grapefruit, mangosteen, durian, coconut and orange trees were destroyed. Most of the district’s inhabitants make a living from the land, and the wreckage from the south’s worst storm in nine years has made their hard lives even harder. To help rebuild their homes, the district people’s committee has given VND3 million to each of nearly 600 families in the top welfare bracket (what are termed “policy households”) and VND2 million each to 1,000 other poor families. On the same day, a reporter from Sai Gon Giai Phong handed VND3 million donated by the newspaper’s readers to the wife and children of Nguyen Thanh Xuan, a policeman who lost his life while on duty in Quang Binh Province on the central coast. Xuan’s family was moved to tears by the readers’ generosity and his young children promised they would study even harder at school in future as their way of saying thanks.